drivingandlife: PASSED, PAST, FAST MASTERS! 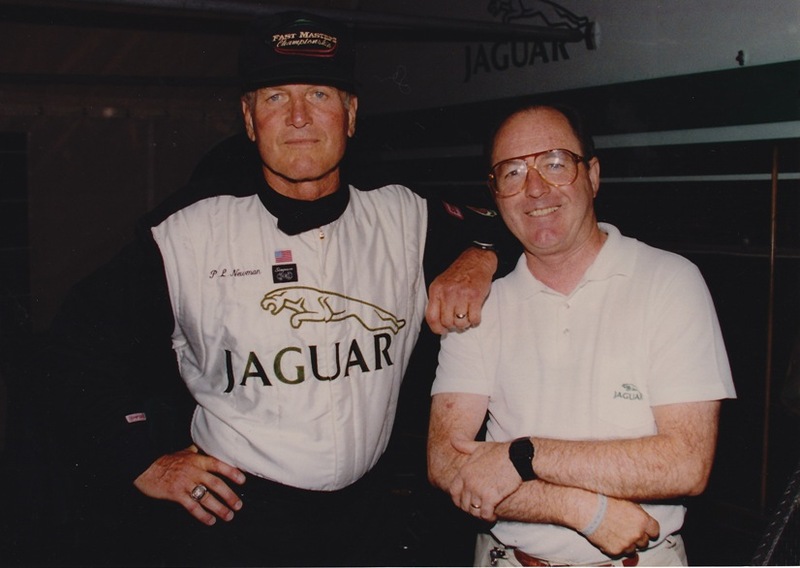 In 1992 Tom Walkinshaw’s TWR Group, which was responsible for Jaguar’s racing programs, withdrew from the IMSA race series in the USA. Now, Jaguar Cars had already paid millions of pounds up front to TWR for its racing schedule and now, there wasn’t a stage in the USA on which it could strut its stuff. Walkinshaw’s ‘money man’ (sponsorship wizard) Guy Edwards cooked up a rather dubious deal with ESPN and Havoline in the USA, to telecast a series of one-make races each Saturday night during summer of 1993, from Indianapolis Raceway Park. Before you start thinking of Jags racing at the ‘Brickyard’ hold on! Indianapolis Raceway Park is basically a quarter-mile oval track for speedcars on the western outskirts of the city. To create the TV spectacle, the ESPN producer, Terry Ligner, convinced the owner to introduce a trio of 90 degree corners into the infield, slicing off one corner of the oval. The plan was to field 8 Jaguars every Saturday, to be driven by America’s ‘Fast Masters’ – basically, retired old racers from yesteryear. The series would be contested over six weeks, with eight new faces each week, culminating in a final, winner-take-all $100,000 purse. So far, so good – until you consider the Jaguars which TWR would front up with. How about 10 Jaguar XJ-220 coupes – worth at the time about USD$500,000 each! These alloy-bodied beauties became ‘crash and bash’ specials for a demolition derby every Saturday night, telecast nationwide on ESPN. It was quite a spectacle, with all the old rivalries, and the egos of past (sorry, Fast) Masters, on the line. The line-up included guys like Bobby Unser (the eventual winner), Johnny Rutherford, Parnelli Jones and Paul Newman (who was gracious enough to pose with yours truly). From the Sunday morning after each race, through Saturday morning of the following week, TWR’s hard-working US CEO Tony Dowe would supervise the rebuild of the bashed-up XJ220s, and they would front up that night with 8 straight cars. JaguarSport, a company owned by TWR Group, was actually responsible for selling the XJ220s around the world, on behalf of Jaguar, so I wonder where these 10 ‘race cars’ ended up, and whether the eventual owners know the history of their glamorous supercar!